Some of these are old news and thus are probably yawn-worthy for most of you, but a couple are ones I haven't seen yet. 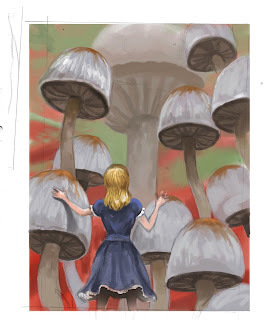 Concept art for Tim Burton's Alice in Wonderland, featuring Alice and a whole lot of mushrooms. 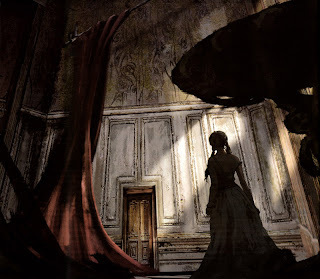 We also seem to have a doorway of a strange ruin, a room with some seriously menacing wallpaper, and a sprawling messy tea party. 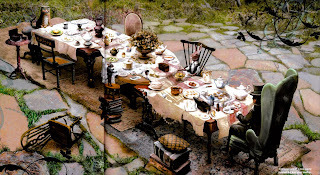 Last, we have a strange 3D of Alice, the doorway, and a bridge. 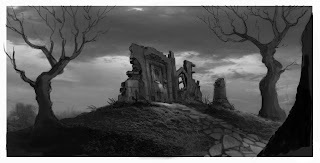 I'll have to fire up my 3D glasses later and see how this looks.